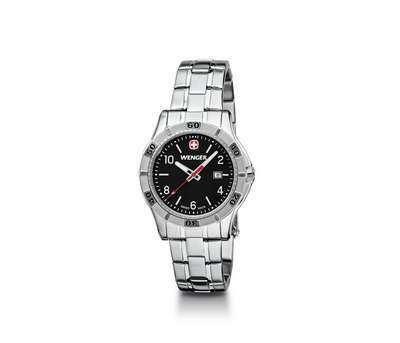 This customized Wenger Platoon Watch Black Dial Stainless Bracelet is water resistant to 100 meters. 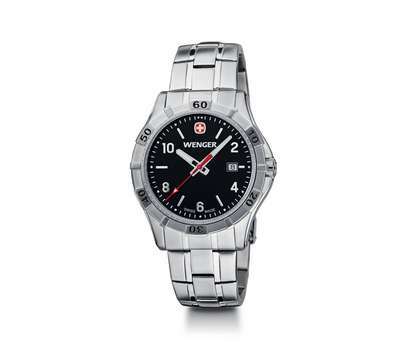 Attract attention with our Wenger Platoon Black Dial Stainless Bracelet watch. 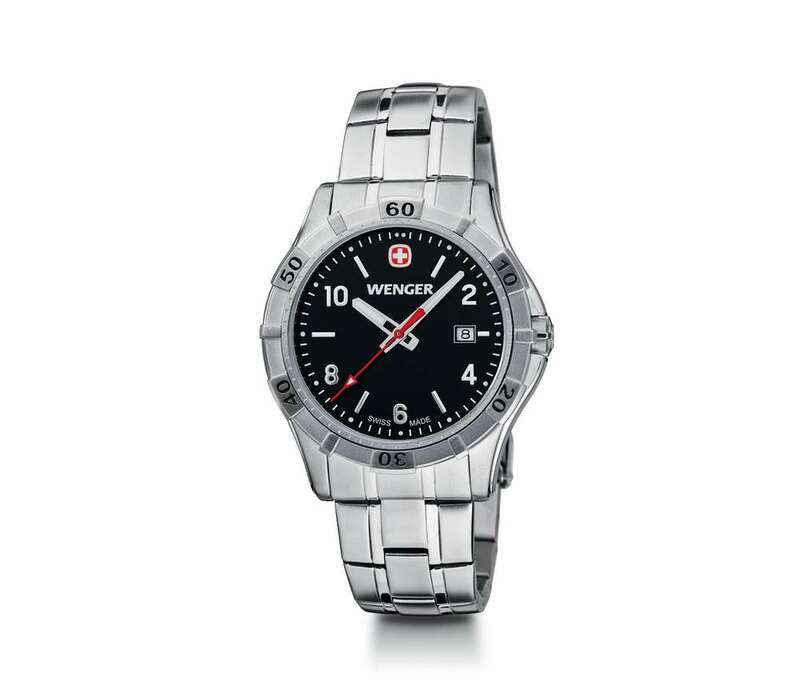 This Wenger watch features Swiss-made stainless steel case, unidirectional rotating bezel sapphire coated mineral crystal, and superluminova treated hands & markers. It is water resistant to 100 meters (330 feet). Your imprinted brand logo and advertising message will leave an impression it creates on the recipients for your business. Create awareness for your brand and create an incredibly useful gift that will be appreciated. Great gift idea for businesses in the sporting goods or outdoors industries.